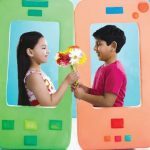 Teletalk 1GB 17Tk Internet Offer! 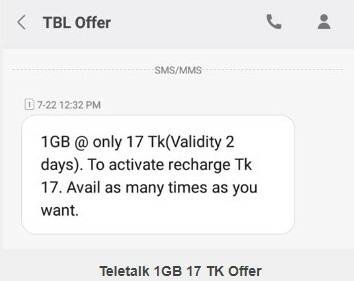 Bangladeshi only government telecommunication operator Teletalk has come to their all prepaid customers to activate Teletalk 1GB Data 17Tk Offer. Now all prepaid customer will get 1GB internet only 17Tk unlimited time. The customers who want to activate this special offer with exciting validity. No tension, just read this full article to get a clear concept about the Teletalk 1GB Internet 17Tk.In this bellow, I will share for all customers all details how to activate this special internet offer. Teleatlk all customers who want to activate this special 1GB 17Tk Offer, customers need just to recharge 17Tk. VAT + SD + SC included in 17 TK. The validity of Teletalk 17 Taka 1GB Internet offers 2 days. To check the remaining balance of Teletalk 1GB Internet at 17 TK Offer, just dial USSD code *152#. To check Teletalk Internet, SMS Just visit Balance Check. This offer will run until the future notice. After reading this full content now all users have got more information on how to activate Teletalk 1GB 17Tk Internet Offer. If you want to know more or faced any problem, just comment the box. Thanks to all for being here. amar balance theke 17 taka recharge kore kivabe offerta activate kora jabe? If you available this offer, just recharge 17Tk in any flexiload shop.